The Great Gatsby made quite a splash last year with Baz Luhrmann’s flashy, elaborate film version, but the mania for the book and movie doesn’t seem to be fading. Etsy is packed to the gills with art deco and Gatsby-inspired everything, including these gorgeous black and gold finds. 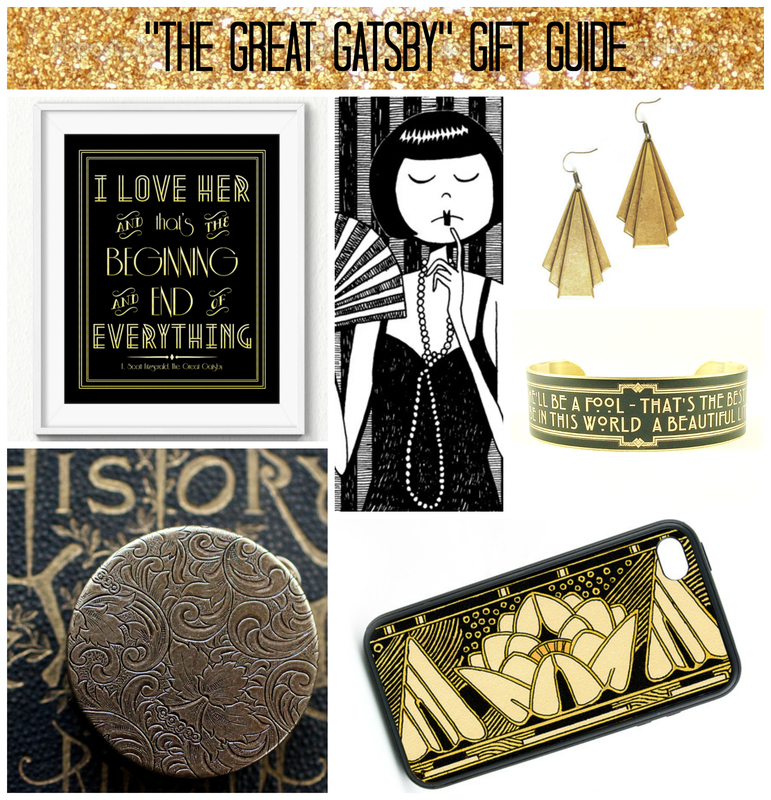 You’re sure to find the perfect gift for that girl with the glamorous parties and the always-perfect flapper bob!